Vibrant and colorful flowers send a message of joy. 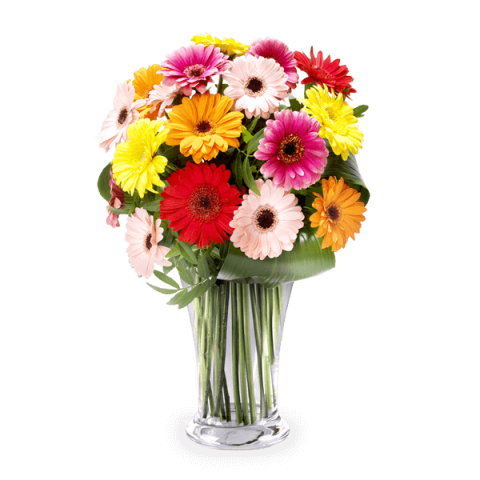 If your loved ones would like gerbera flowers delivered for a special occasion we have all the tools you need. As one of the world’s most popular flowers, the gerbera daisy is well known worldwide as being a vibrant, colourful and very playful flower! It is certain to brighten up any room or garden. Tell us where you’ll be delivering to - We can deliver to over 100 countries! Once your order is confirmed we’ll take care of the rest. Remember, you can also make any bouquet of gerberas you send even more spectacular with one of our premium add-ons like chocolates, cards, teddies and more. With over 200 varieties of gerbera, you are sure to be able to find the perfect type to match your occasion, whether that is some pink gerbera flowers to say "I admire you", some shining white gerbera flowers to send a message of pure love or an orange gerbera bouquet to say "you are my sunshine". We have a wide variety of gerbera daisy flower arrangements in multiple colours ensuring that you will find just the right one for your international delivery of flowers. Take a look at the extensive catalogue and choose just the right floral arrangement to help you express your sentiments to someone dear to you. If you want to evoke happiness, emotion and love then gerberas are just the right flower to choose. All these feelings are perfectly expressed by a bouquet of gerbera daisies; these flowers can produce a smile at all times. An arrangement of gerberas for a wedding is one of the most beautiful gifts you can ever receive, especially if there is a distance that does not allow you to be there on their special day. A bouquet made up of white gerberas, fits perfectly for this event, given the tone, style and elegance of colour. However, even colours like red or yellow gerbera daisies can send happiness when delivered to the newlyweds. Buying Gerbera daisies online is also ideal for a birthday, an anniversary or just because, to bring a little magic to the life of someone special. 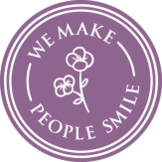 We boast a network of thousands of the very best florists all around the globe, which ensures that your beautiful and fresh flowers can arrive in as little as 24 hours in many locations. Whether you need same-day flower delivery or simply guaranteed flower delivery for a certain day, FloraQueen is the place to go. With a gerbera daisy bouquet, you can easily say everything you feel to someone you love! And with international same-day delivery to many locations, it couldn’t be easier!